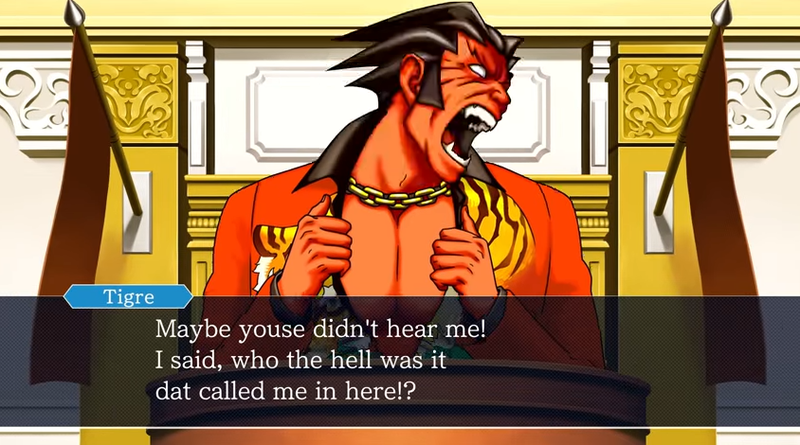 KoopaTV: No Need To HOLD IT In: Phoenix Wright: Ace Attorney Trilogy Released On All Consoles! Historically, CAPCOM will have at least one or two game sales between now and the end of the year. I'm mainly thinking about the CAPCOM Winter Sale. 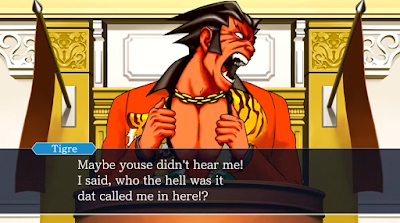 In the 2018 CAPCOM Winter Sale, they skipped Phoenix Wright: Ace Attorney Trilogy entirely, but Nintendo hosted a New Year sale immediately after which gave a 60% discount to the 3DS Trilogy. Before winter, there was an Ace Attorney franchise sale in October 2018. That's three sales in three months. Don't forget about the annual CAPCOM Summer Sale. Phoenix Wright: Ace Attorney Trilogy was also 60% off in the CAPCOM Summer Sale 2018. I'm not saying the multi-platform version of Phoenix Wright: Ace Attorney Trilogy will be discounted at the first opportunity, and I'm also not saying that it'll be the full 60% right away. That percentage built up over years... ever since the 3DS Trilogy released in December 2014. Its first sale, to my remembrance, was 25% off in March 2015. Why am I mentioning all of these sales? Well, if you are interested in playing Phoenix Wright: Ace Attorney, Phoenix Wright: Ace Attorney: Justice For All, and/or Phoenix Wright: Ace Attorney: Trials & Tribulations for the second, third, fourth, or maybe even fifth time, then you're probably willing to wait for a discount. If you now have the opportunity to play those for the first time, like people who have never owned a Nintendo console before will get the chance to now with this multi-platform release, then don't wait. Spend the whole $30. You'll get much, much more value out of it. Don't wait another hour. Buy Phoenix Wright: Ace Attorney Trilogy. Your life will improve. So will your experience with this site. You'd understand articles like this one. Plus, you'll understand why we're so excited about Phoenix Wright in Super Smash Bros. Ultimate! Ludwig is obviously going to wait for the game to go on sale before buying it again, again. He sees there being value in getting video capture and high-resolution screenshots for future articles. Even if he won't actually play it, he enjoys giving CAPCOM earmarked money for his favourite game series. If you need some convincing, just ask Witch Princess, who bought Phoenix Wright: Ace Attorney Trilogy at Ludwig's insistence and enjoyed it. I agree that this is a good thing, but I do question the premise that people who do not own a Nintendo console would be following this site. I mean, I'm sure there's other ways those people will find out anyway. Well, at least you have those who own a Switch but not a 3/2DS covered. There's a few groups this article should speak to. 1) The original point of my comment was to question that this group even exists. 2) Well, I suppose it's not IMPOSSIBLE that this would be the tipping point for somebody. 1. It's possible it does. They just don't comment. There's lots of people who read the site and don't say anything on it! That's why I promote the KoopaTV Loyalty Rewards Program often.